This post lists the series indexes on 'Journeys of heart and mind'. Each index collects articles on a theme, often written over a period of time. From time to time I write a series of themed articles, and usually I provide an index article to make it easy to find the entire set. 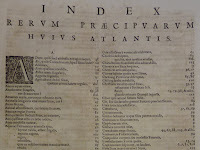 Now that there are several such indexes it seems time to make 'an index of indexes' - and this is it. Alternatively you can view all the indexes as one, long page; the link for this is always available on the 'About' page (scroll down part way to find 'INDEX' in the 'Topics' list). But the brief alphabetical list below will often be more convenient.